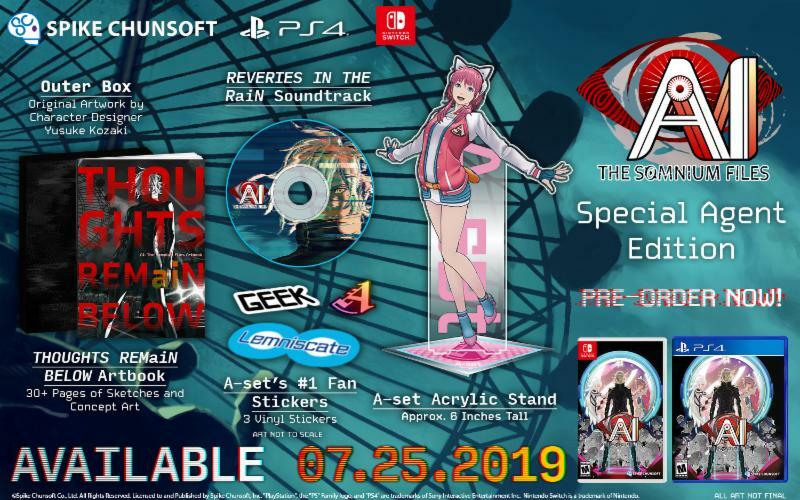 AI: The Sominum Files, the newest game from Zero Escape creator Kotaro Uchikoshi, will launch July 25 worldwide, Spike Chunsoft has announced. Alongside today’s news, Spike Chunsoft provided the latest information about the game. Find a new overview below, along with a trailer out of GDC 2019.